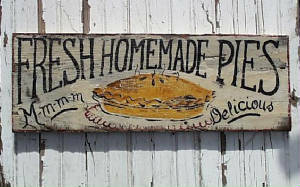 Our customers love the country kitchen signs which we create at Old Czech Country. 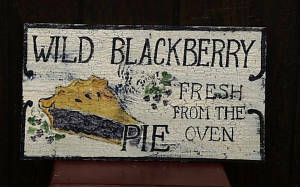 Some signs we have custom designed in the past are bakery signs showing fresh baked bread or pies, but we can create one to fit your color scheme and favorite food. 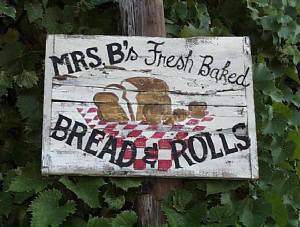 Whatever is in your imagination, tell it to us and we will try to create the sign of your dreams.